The AquaPodKit is easy to install and provides the safe water your family will need in the event of a contaminated public water supply. Storm surges and destruction from hurricanes, water main breaks and other catastrophes can make tap water unsafe to drink. With up to 65 gallons and a convenient pump, the AquaPodKit can provide a 14 day supply of water for basic needs for a family of four, and at a much lower cost than bottled water. 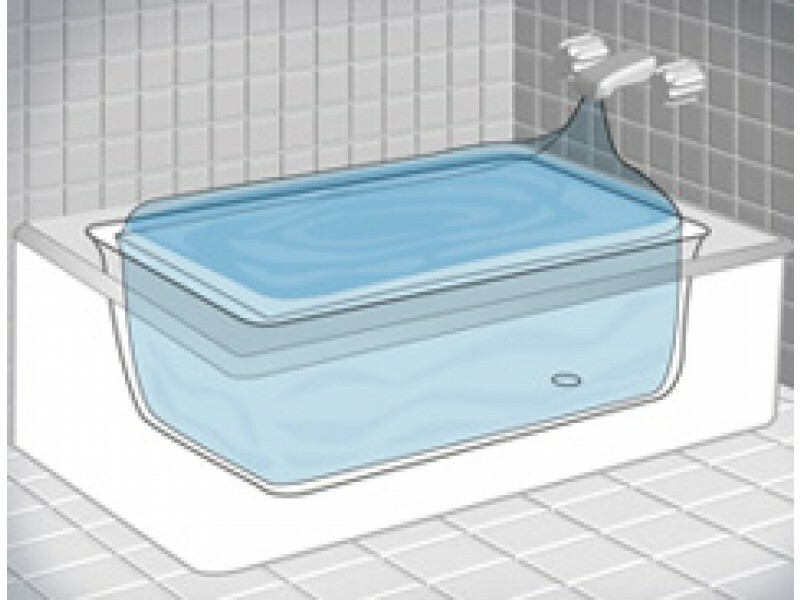 A simple, safe solution when emergencies strike, the AquaPodKit allows you to store up to 65 gallons of fresh water using an ordinary household bathtub. 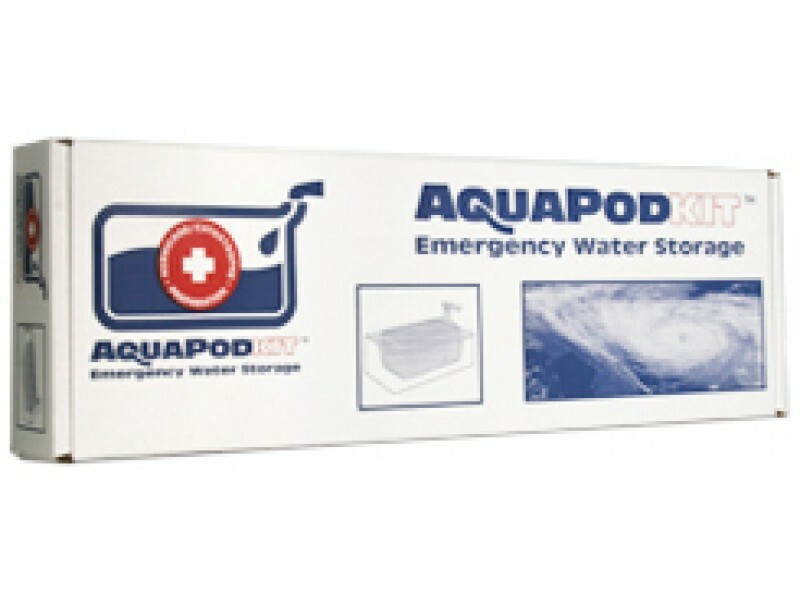 AquaPodKit is the easy way to store temporary water when the need arises. As everyone learned in recent hurricane disasters, municipal fresh water service is not absolutely assured. Don't be without it. Next time, don't rush to the store in hopes of buying bottled water. Buy an AquaPodKit now—and relax knowing that you're prepared for the next time. 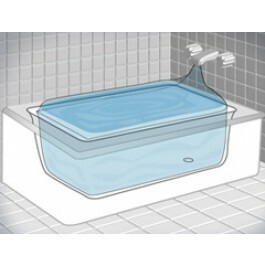 Instructions for Use: Place liner in tub with liner neck positioned near tub spout. Secure the liner neck to the tub spout with one of the enclosed tie clamps. 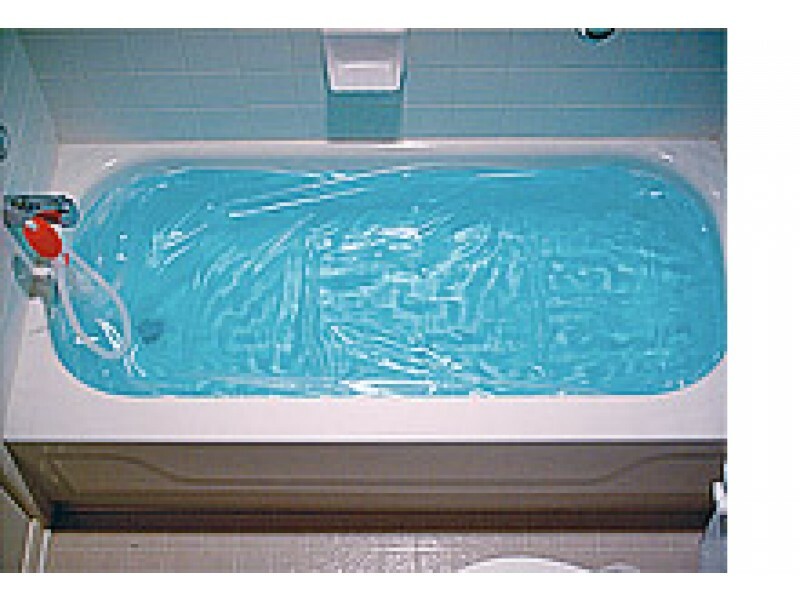 The tub liner can be filled to within a couple of inches of the tub’s top rim. DO NOT OVER FILL. Pull liner neck through inner sleeve. Pull and fold liner over top part of inner sleeve (see printed PDF of instructions). Push outer sleeve over the liner that is wrapped over the inner sleeve. Place sleeve cap over outer sleeve and snap into place. Insert the pump siphon tube into the sleeve cap. Snap pump siphon tube into sleeve cap so it fits evenly and tight. Make sure that the sleeve cap is on securely. Place cork (discharge tube stopper) in to the discharge tube. At this point the water is stored. To dispense the stored water, remove cork and place the discharge tube into a container. Turn top knob to the on position. Begin pumping the water by squeezing the pump bulb. Place cork in discharge tube to store for next usage.